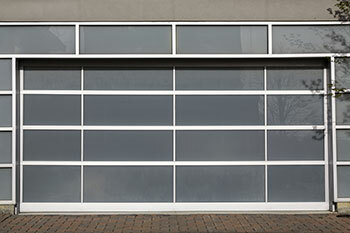 Here you will find all your answers to the most common asked questions about garage doors. 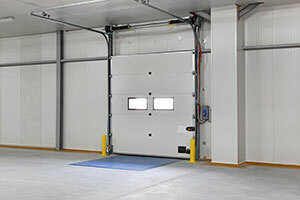 Why won’t my garage door remote work? First of all, check if the batteries still have power. If they do, our experts suggest checking the indicator light and the code on the remote. It is possible that the remote has lost its pairing with the transmitter because it lost the programmed code. Is insulation important for my garage door? When performing installation, maintenance or repair, our experts at Garage Door Repair Allendale often recommends insulation for people who live in areas with extreme climates. Cold and heat can seep through the gaps, not only damaging the door but also making your garage unbearably hot or cold. Insulation can make a big difference in terms of comfort. How do expanding raw bolts work? They are a simple way of ensuring that any given part is anchored into the ground securely. As an example our company recommends that you use 100-130mm worth of concrete just outside your garage door in order to support all the other structures. You would then need raw bolts to anchor the parts. How should I deal with uneven garage door bottoms? Sometimes it happens one side of that the bottom of your garage door is higher than the other. Obviously this is unacceptable if you want full functionality. 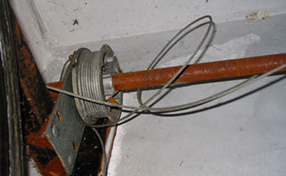 It is normally caused by a frayed cable which you just replace as soon as you can. Restore it back to the drum.